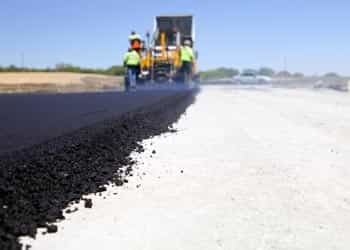 Asphalt for new construction paving jobs require the right equipment, the right high-quality materials and trained and experienced professionals who know how to use them. At our new construction paving company, we stand out from our competition when it comes to handling new asphalt construction. A-1 Asphalt Inc specializes in all new construction asphalt installation. From small, light traffic parking lots to heavy duty truck terminals requiring deep strength paving — our professional and knowledgeable technicians will design and construct the right specs for your needs. Our dedicated grading crews will prepare your new construction site by balancing the subgrade and finish-grading the aggregate base, both essential elements to achieve the proper results and extend the lifetime of your asphalt pavement. From underground drainage to excavation of asphalt and concrete, our new construction experts have the equipment and knowledge to handle any size project. Our professional estimators can bid your entire job, while our paving company professionals can manage all of your new construction projects, including earthmoving, underground drainage, concrete curbs, concrete flatwork, aggregate base and asphalt paving of any mix design and traffic specification.